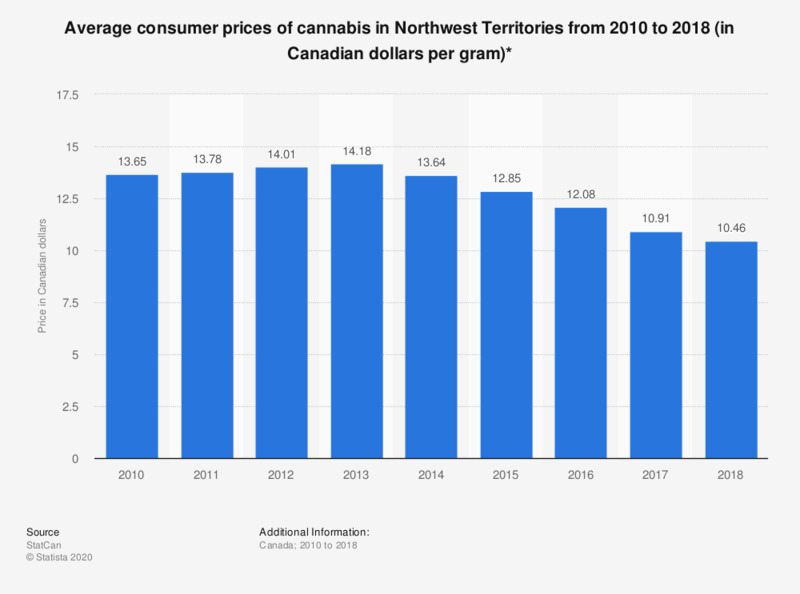 This statistic illustrates the consumer cost per gram of cannabis used for non-medical purposes in Northwest Territories between 2010 and 2017. In 2017, the cost per gram was 9.52 Canadian dollars, a decrease from 10.14 dollars the previous year. *Cannabis use for non-medical purposes is defined as use for a range of non-medical reasons (e.g., socially for enjoyment, pleasure, amusement or for spiritual, lifestyle and other non-medical reasons). Statistics Canada collects cannabis price information from licensed producers but cannot directly collect prices from unlicensed ones. The following prices were obtained from various websites where individuals were asked to anonymously report the price they paid for their latest purchase of cannabis.